Program #DYSM001. Recorded in Boulder, CO on February 2, 1995. 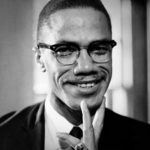 Malcolm X’s life represents an extraordinary evolution and transformation from street hustler and ex-con to an intellectual visionary with a race and class analysis. 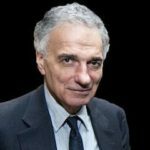 He went from being a narrow nationalist to incorporating a broad global perspective. 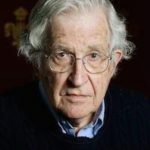 He articulated a strong challenge to the system of power and privilege. Consequently, the FBI wiretapped Malcolm, read his mail, and kept him under surveillance. On February 21, 1965 Malcolm X was gunned down at the Audubon Ballroom in West Harlem. In his final year he gave fiery talks throughout the country, including the famous Ballot or the Bullet Speech from King Solomon Baptist Church in Detroit. This special program marks 50 years since his assassination. 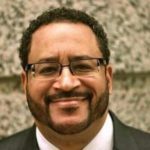 Michael Eric Dyson is University Professor of Sociology at Georgetown University, teaching courses in theology, English, and African American studies. A dynamic speaker, he lectures widely. Among his many books are Know What I Mean? : Reflections on Hip-Hop, April 4, 1968: Martin Luther King’s Death and How it Changed America, The Black Presidency and Tears We Cannot Stop. I only heard part of this lecture but I have to say how good this speaker is: Thank You Michael Eric Dyson! There are so many ideas expressed I could point to but I’ll have to listen to it again to get it straight. What I want to emphasize is how great it is to hear a person of color express his ideas from his own perspective so that we can all hear what’s it like to be black in America. We must have more of these conversation. We’ve been kept apart by fearmongering for too long.